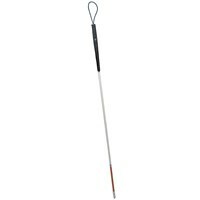 52-inch long, glowing four-section folding aluminum cane with rubber handle and wrist loop. 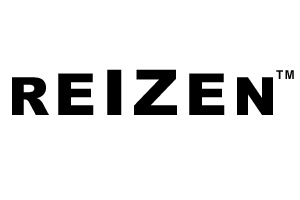 Precise-fitting joints eliminate wobble and sticking. An amazingly bright glow is emitted from the cane, reducing the risk of accidents. The cane automatically charges when it is exposed to sunlight. 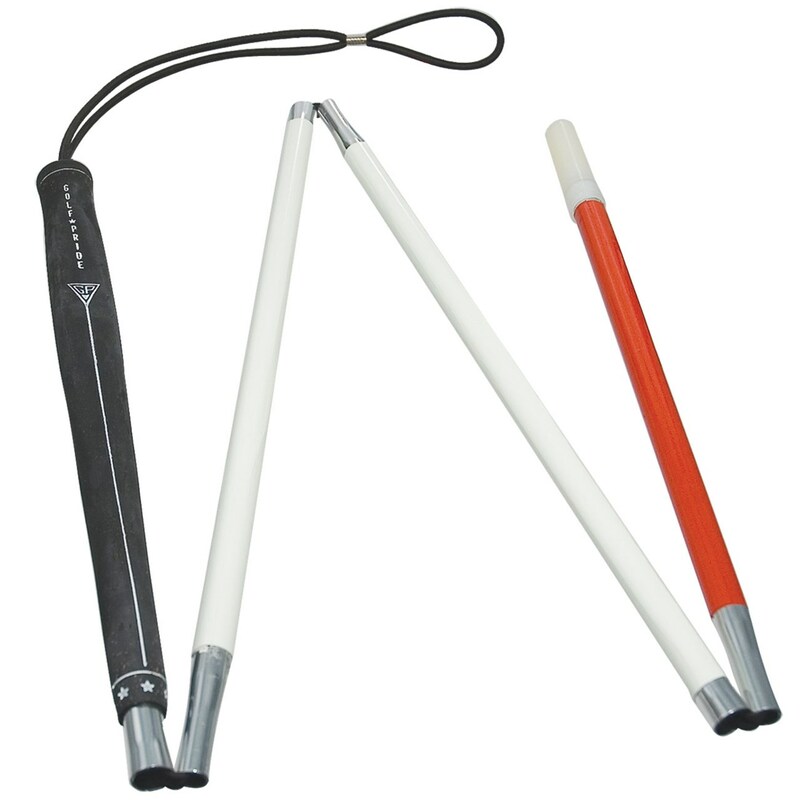 A fully charged cane will glow for up to six hours. A must for walking during night hours. Like magic, your cane will glow when it's in a dark environment. 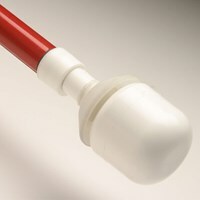 No need to turn the glow on, just walk in confidence All canes are glow-in-the-dark with a red end. Available in sizes 44 - 58 long.